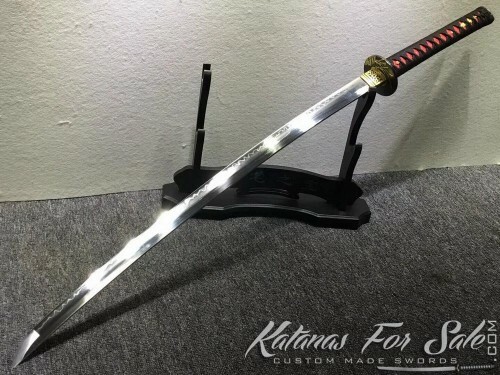 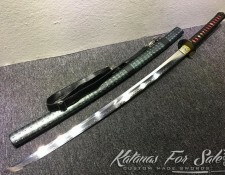 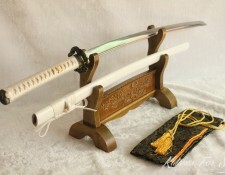 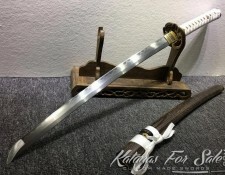 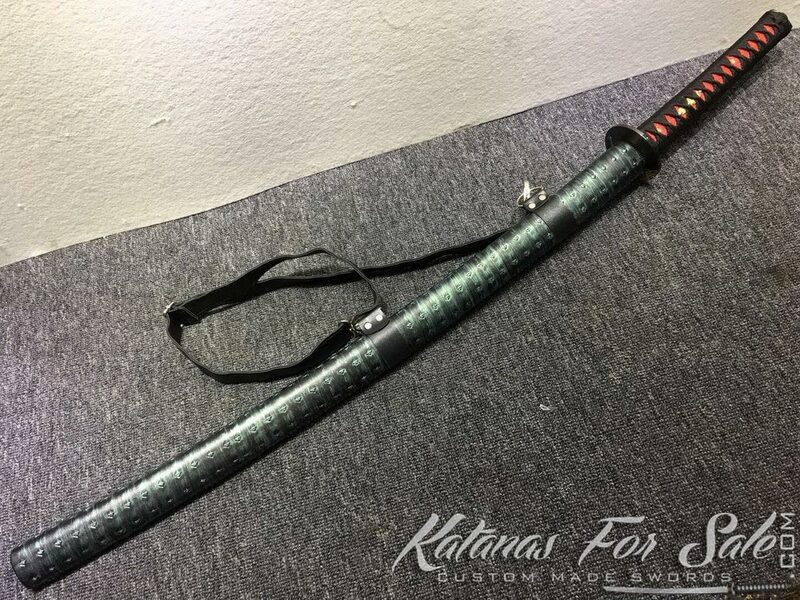 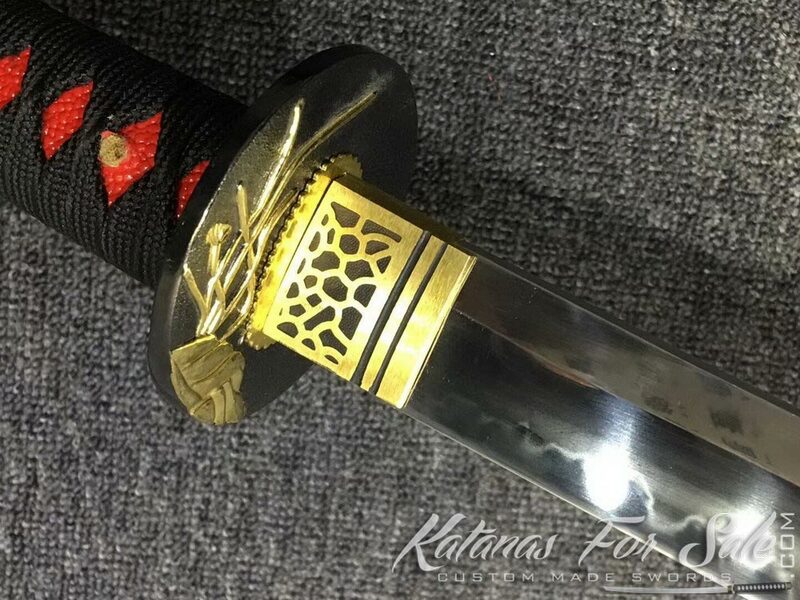 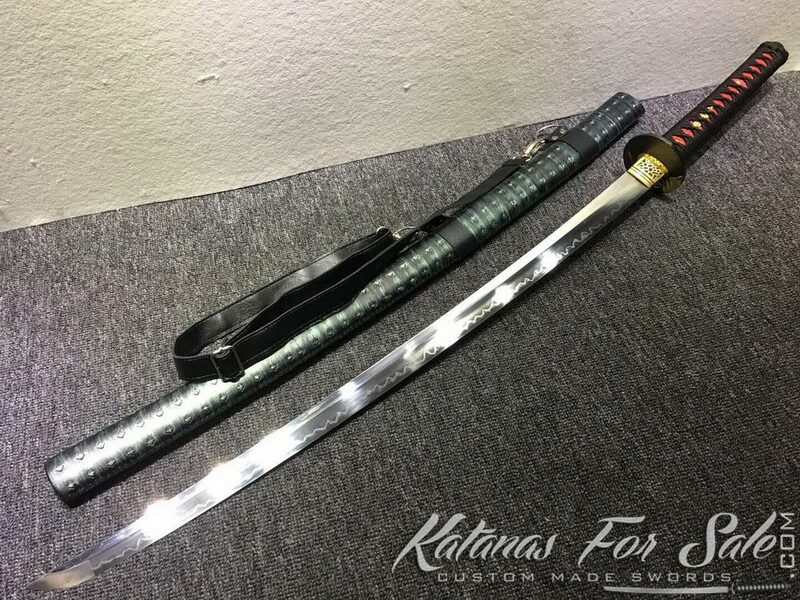 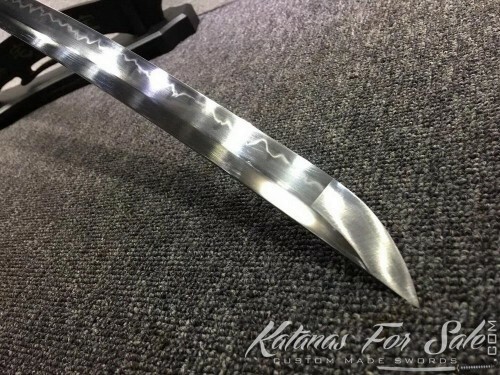 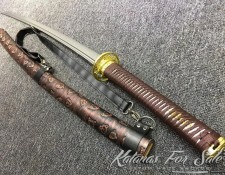 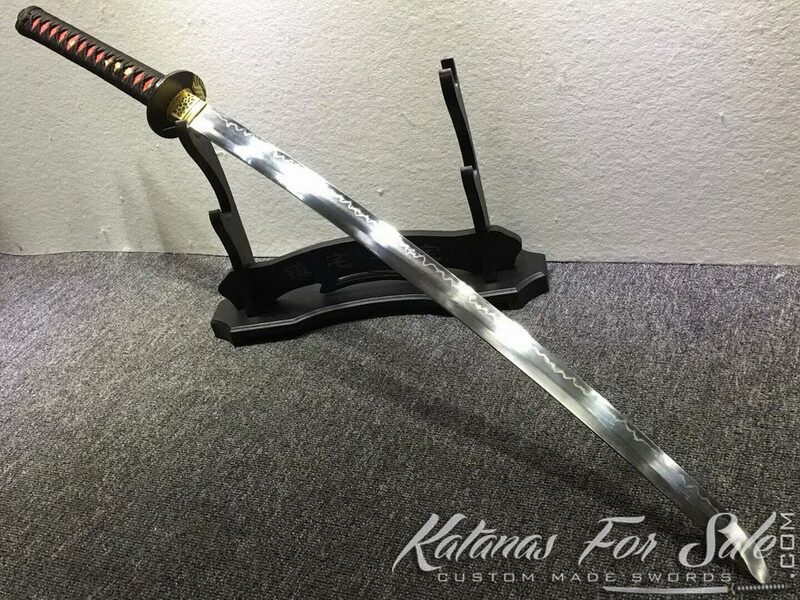 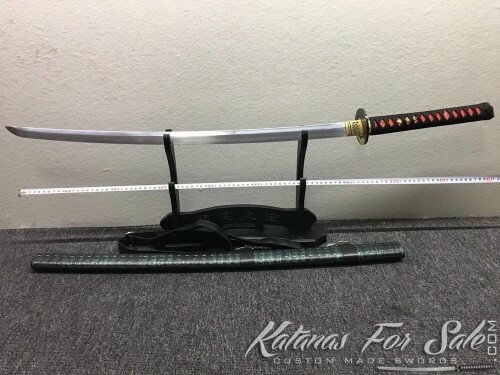 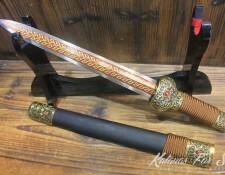 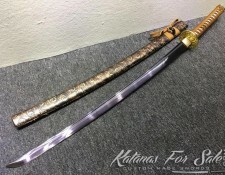 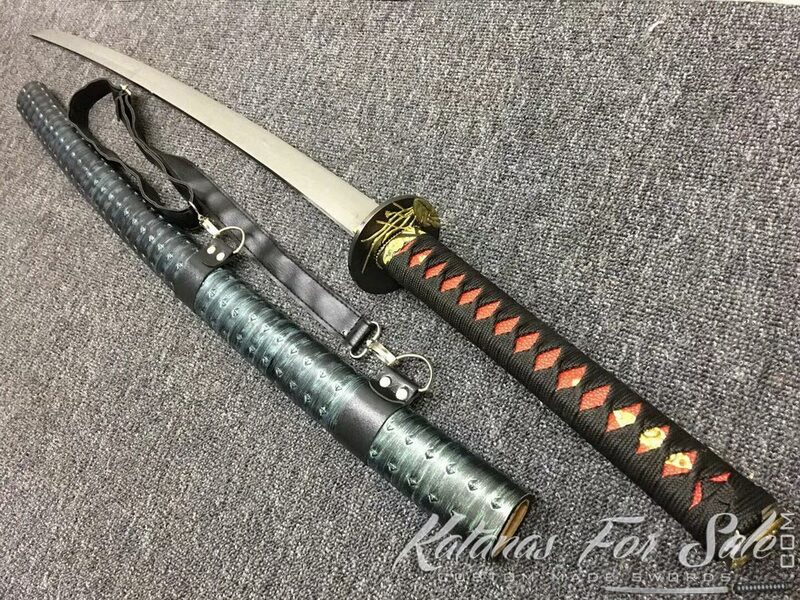 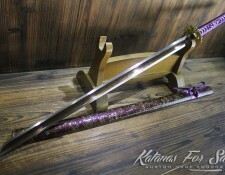 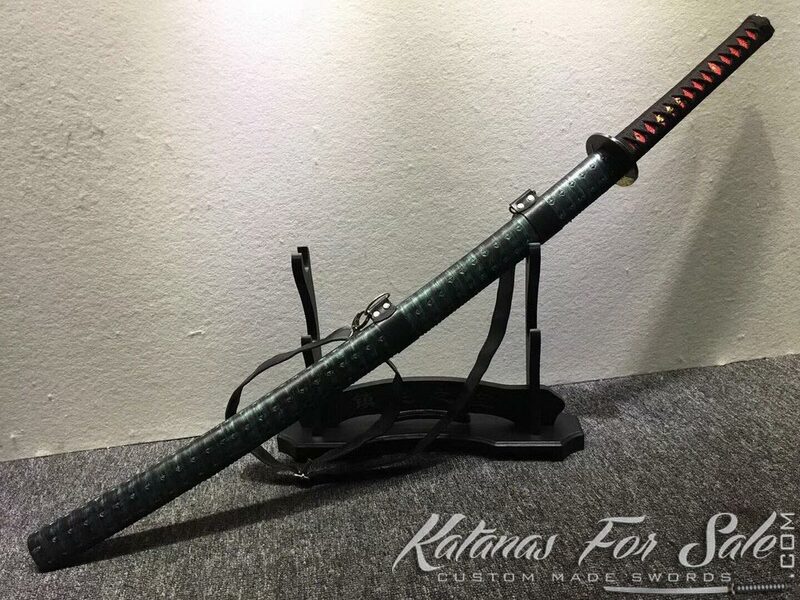 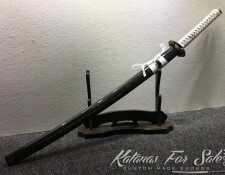 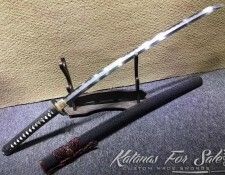 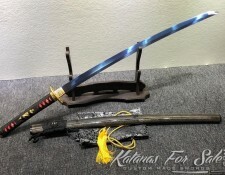 This Katana is made from clay tempered T10 Steel with Wavy Hamon, it features elegant Saya made of synthetic leather with a shoulder strap. 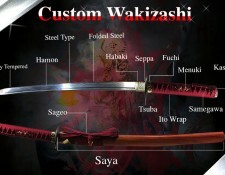 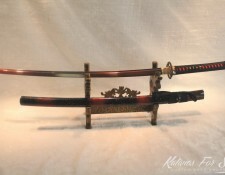 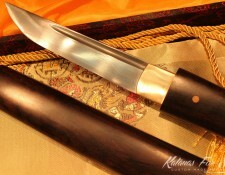 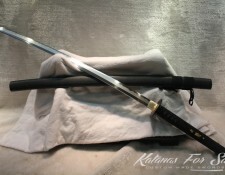 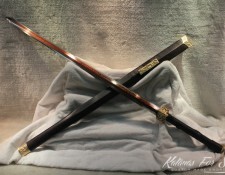 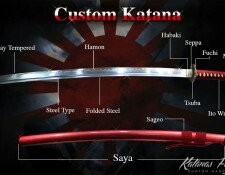 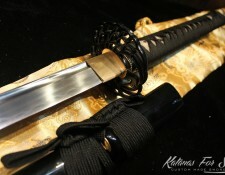 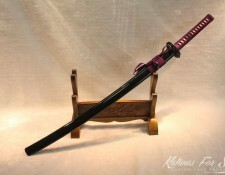 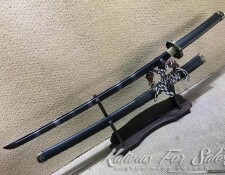 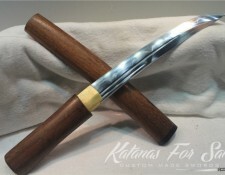 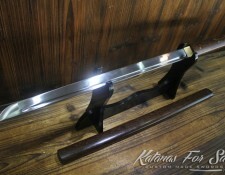 The handle is black rayon silk with red rayskin samegawa that compliment the dark shades of the Saya. 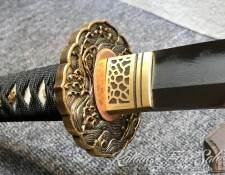 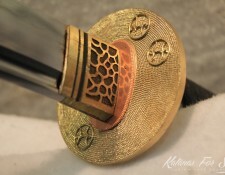 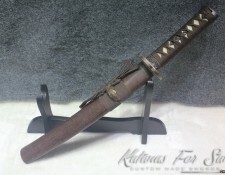 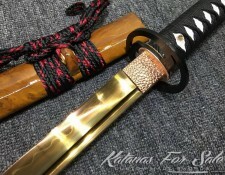 Tsuka (Handle): black silk wrap with red Samegawa.